What’s It About? 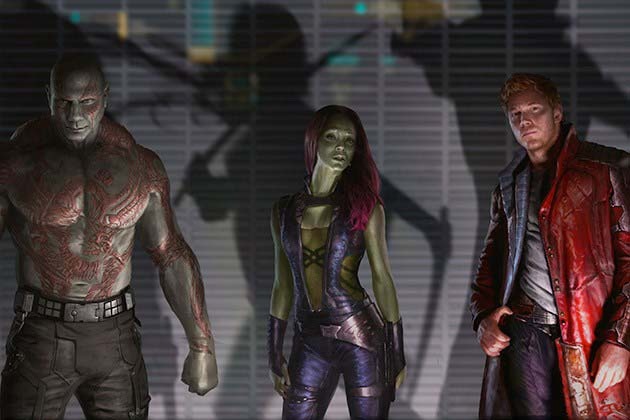 The fourth movie of Marvel’s post-Avengers Phase Two introduces us to a new team of heroes, and an entire galaxy. The Guardians that the film brings together are human Peter Quill (Chris Pratt), assassin Gamora (Zoe Saldana), Drax (Dave Bautista) and Rocket Raccoon and Groot (voiced by Bradley Cooper and Vin Diesel respectively). Quill unwittingly steals an orb that powerful people across the universe want to get their hands on and must stop Ronan the Accuser (Lee Pace) from getting it in order to save the galaxy. Verdict: On paper this was Marvel’s biggest gamble since the original Iron Man: introducing a group of characters with no household-name value (including a tree and a talking raccoon) that haven’t been set up in previous films, and with the action taking place almost entirely away from Earth. With James Gunn at the helm, Chris Pratt in the lead role and a talking raccoon, you would have expected a very comedic tilt, and fortunately they do pull this off brilliantly: it is very, very funny. There are some great one-liners from most of the characters, as well as some out-of-place 80s references from Quill. For the movie to work we have to care about the characters being introduced, and it does a very good job of this. 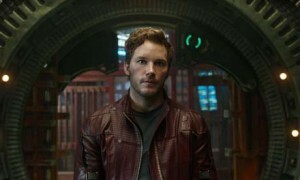 We begin with the young Peter Quill at his mother’s deathbed, before he’s kidnapped and taken off into the galaxy. This is a really strong beginning that immediately helps us identify with Peter and puts some emotion behind someone that could otherwise just be a comedic action character. Each new character then gets their introduction and are all brought together expertly, in what Marvel producer Kevin Feige has likened to The Magnificent Seven and The Great Escape. The interplay between each character is the film’s strong point. You soon forget there are big-name actors in Cooper and Diesel as Rocket and Groot, and you just enjoy watching their characters on screen. Rocket looks great, and is suitably funny. Drax was perhaps the least promoted of the Guardians, but he arguably has the best lines in the film, whilst keeping the soul of someone who has lost his family. Surprisingly for a tree that can only say ‘I am Groot’, it is Groot that emerged as the fan favourite, and who really brings some heart to the team. Whilst the film does a really good job of establishing the team, other characters (and there are a lot of them) fare less well – Karen Gillan and Michael Rooker put in good performances, but Glenn Close and John C. Reilly are underused. A vast array of villains and planets are also introduced, so it always feels like there is a lot going on. It does suffer slightly because of this – it’s hard to keep track of who is working for whom and why they want the orb (the MacGuffin of the movie) – though it must be said that these problems go away on repeat viewings, something the film stands up to really well. Ronan the Accuser (Lee Pace) as the film’s villain, though, is ultimately a bit of a let down. The soundtrack, provided by a mixtape Quill’s mother left him, must also be mentioned – an excellent mix of 70s pop that really gives the film its personality and fits brilliantly with some of the action scenes. It’s a big part of the film, and after watching it you’ll have songs like Moonage Daydream, I’m Not In Love and, of course, Hooked On A Feeling stuck firmly in your head for days. The action scenes are solid, but not spectacular in themselves. The prison escape scene in particular showcases the group’s different skills, personalities and approaches, and is the best sequence of the movie. The CGI, particularly on scenery in some locations and on Rocket, is beautiful. Whilst there is undoubtedly a lot going on and this can be hard to keep track of, it’s such good fun that it doesn’t matter all that much. 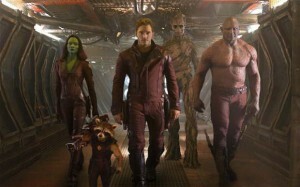 Guardians of the Galaxy tries to be a big bombastic space story akin to Star Wars, and it gets there. Pratt really is a very likeable leading man and I wonder whether some of the same criticisms of this film were true of Star Wars on its release. Certainly like Star Wars, children watching this will marvel at the space battles, will pick their favourite characters and want to watch it again and again. Despite Guardians of the Galaxy being the least like other Marvel movies on paper, it does still follow the similar Marvel-formula of a baddie wanting something, the heroes trying to stop them, and a big explosive action-packed finale. This is slightly troublesome for their movies as a whole, but this movie gets a pass here because it really is just so fun. The more knowing comedic tone, as well as the different environments and characters ensure this feels different enough from what has come previously. Extras: Deleted scenes, making-of featurettes, an exclusive look at Marvel’s The Avengers: Age Of Ultron, gag reel, and audio commentary. Final Words: Some will proclaim it Marvel’s best movie to date, and it is certainly one of the most enjoyable, with a real sense of its own personality. Despite following a familiar formula, the exciting new characters and environments make it feel new, and we now have a whole new galaxy we’d like to explore. Gunn has signed on to write and direct the sequel in July 2017 – and frankly, we can’t wait to see more of these characters. Once you’ve seen it, you’ll be hooked on the Guardians of the Galaxy. Guardians of the Galaxy is out on 3D Blu-ray, Blu-ray, DVD, Digital HD & Digital Download on 24 November 2014.